a2n UNCONVENTION FACTORY BERLIN – Album out now!!! And here it is the fresh made a2n Un-convention Factory : Berlin Compilation! A full day of recording of 9 tracks by different artists, creating artwork, preparing the compilation website, and documenting the process, from 12:00 to 22:00 .. The finetunes team creates the digital download and CDs. On Friday afternoon the digital tracks are downloadable at http://snip.ftpromo.net/a2nsampler. The CDs arrive in Berlin at Kater Holzig from finetunes/Hamburg for a spontaneous mini album release party on Friday evening. Also, the album appears for download on iTunes: http://itunes.apple.com/us/album/a2n-un-convention-factory/id478287630. 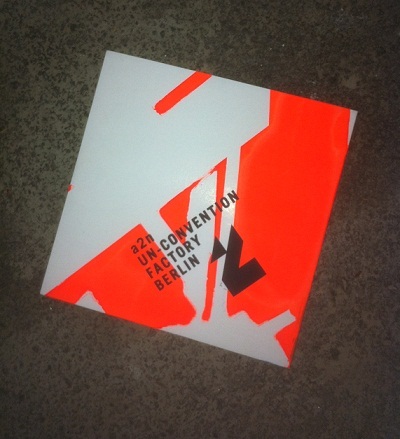 Get a limited free A2N Un-Convention Factory Compilation right now! Enter the boostercode: ”a2nfactory011″. To access the free download, first click on “Buy”, then go to “My Cart”, enter the boostercode and click “Boostercode Check”, which sets your bill to 0,00 EUR, and download the album. Thank you to all who have made this possible and who have contributed to an inspiring day and a great work of art! On the album blog, you find more info on the day, as well as on all participants: http://unconvention.all2gethernow.de/.